From August 20 to 22, 2018, the United Nations Office for Disarmament Affairs (UNODA) and the World Customs Organization (WCO), in cooperation with the Security Council Committee established pursuant to resolution 1540 (2004) (1540 Committee), sponsored the “Zambia National Capacity Building Workshop: Strengthening National Strategic Trade Control Enforcement under the Framework of Resolution 1540 (2004)”in Lusaka, Zambia. The workshop, funded by the European Union’s grant to the UN Trust Fund for Global and Regional Disarmament Activities, is the first of a series of national assistance programmes jointly implemented by UNODA and WCO to support Member States in fully implementing resolution 1540 (2004), which obliges all Member States to take all necessary measures to prevent non-State actors from acquiring weapons of mass destruction and their means of delivery. 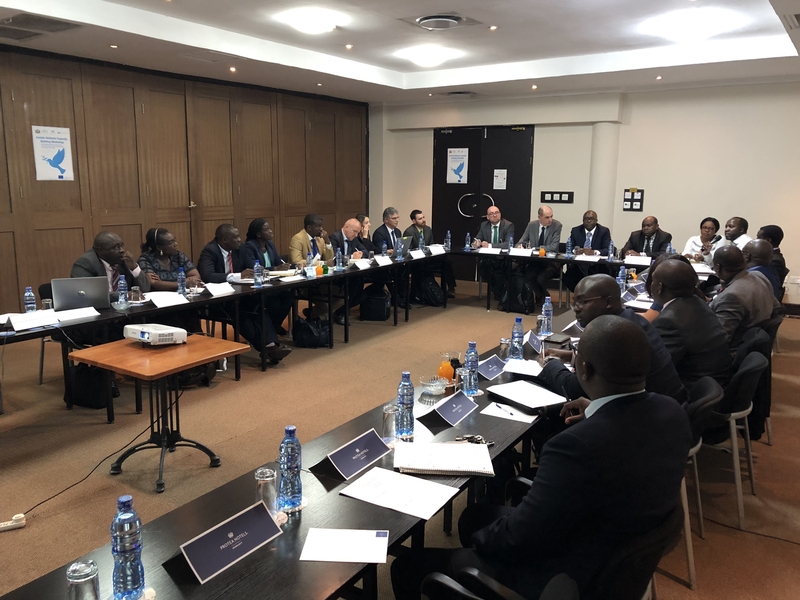 The workshop brought together officials from 14 different Government ministries and agencies, experts from the 1540 Committee, the Organisation for the Prohibition of Chemical Weapons (OPCW), the Verification Research, Training and Information Centre (VERTIC), WCO and UNODA. Ambassador Chalwe Lombe, Permanent Secretary on International Relations and Cooperation of the Ministry of Foreign Affairs of Zambia, officially opened the workshop and reaffirmed his readiness and cooperation to collaborate with all stakeholders in enhancing Zambia’s efforts to prevent the proliferation of WMDs to non-State actors. 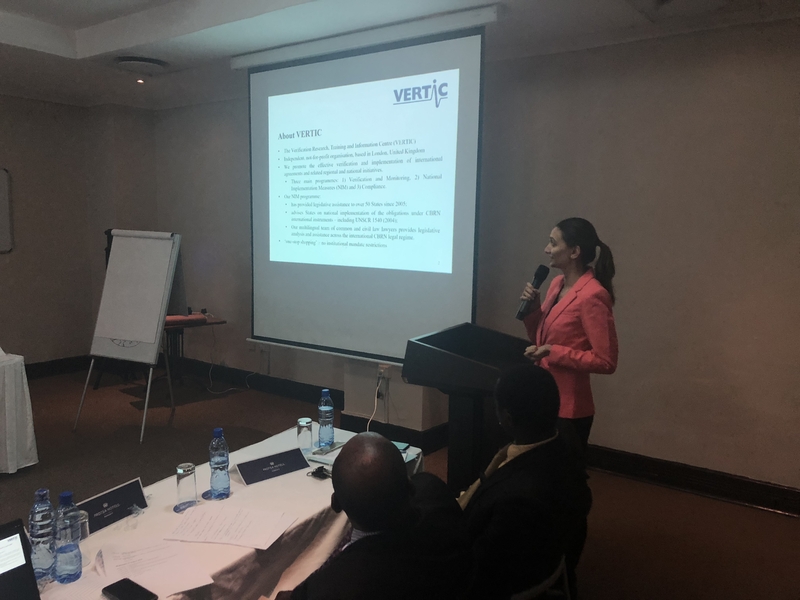 Participants in the workshop attended presentations by experts who explained different obligations under various international mechanisms to prevent the proliferation of weapons of mass destruction and discussed ways to enhance Zambia’s capacity to effectively control the trans-border trade of strategic goods. Furthermore, the participants reviewed in detail the existing legislation prescribing different responsibilities of different authorities in Zambia, enabling participants from different organizations to understand what other authorities do and to identify modalities of cooperation for achieving their common goal in a more effective manner. The workshop enabled the Ministries of Foreign Affairs and Home Affairs of Zambia to reaffirm their coordinating role in ensuring inter-agency cooperation, and it further nurtured a network of focal points within the Government structure to enhance Zambia’s efforts in fully implementing resolution 1540 (2004). In addition, the workshop also enabled participants to recognize specific gaps in the status of the implementation of resolution 1540 (2004), as well as identify areas where assistance providers may be able to contribute in improving the mechanism of strategic trade control and its enforcement. As a result, the participants, in cooperation with other international experts present, developed a draft implementation roadmap which specifically identified the ministries or agencies responsible for implementing certain obligations as well as which international organizations or States may be able to provide further assistance. All international organizations present stressed their commitment to follow up on the roadmap to ensure that adequate assistance be provided to the Zambian Government in support of its efforts to build further capacity in enhancing its strategic trade control mechanism. UNODA and the WCO, in cooperation with the 1540 Committee, will continue to support Member States in enhancing their capacity to better control the trade of strategic goods. A second national capacity building workshop is set to take place in Togo in November 2018. For more information, contact Mr. Aaron Junhoung Yoo, Political Affairs Officer at UNODA by email: yoo2@un.org.